This is a collection of all my favourite pressure king pro recipes. From one pot pastas to curries to tacos, there’s all kinds of delicious recipes here, all made extra quick thanks to the pressure king pro. The pressure king pro works like any other pressure cooker or instant pot. It fills with pressurised steam which cooks thing super quickly and keeps in loads of flavour and healthy nutrients. Since getting my pressure king pro I’ve tried cooking loads of different recipes in it and have completely fallen in love with the quick cooking and all the flavour it keeps locked into food. 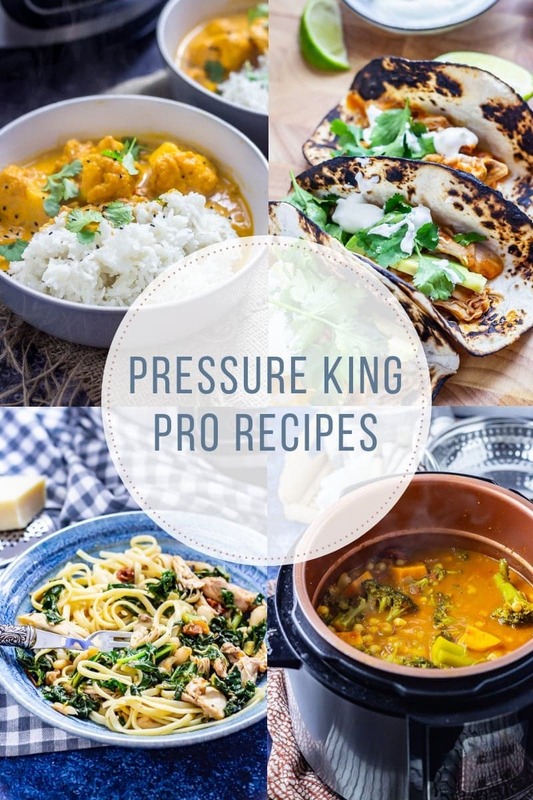 Keep scrolling to find my favourite pressure king pro recipes. 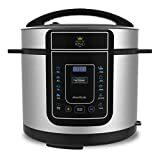 The pressure king pro has 12 different settings for cooking: Meat, Rice, Stew, Soup, Pasta, Fish, Steam, Browning, Fast Re-heat, Keep Warm/Slow Cook and Delay Timer. The ‘Keep Warm’ function also acts as a slow cooker option so you can get rid of another gadget! As I mentioned above, the pressure cooker cooks things much more quickly than traditional cooking methods. It also helps lock moisture into the food which gives amazing texture and makes sure meat gets super tender. 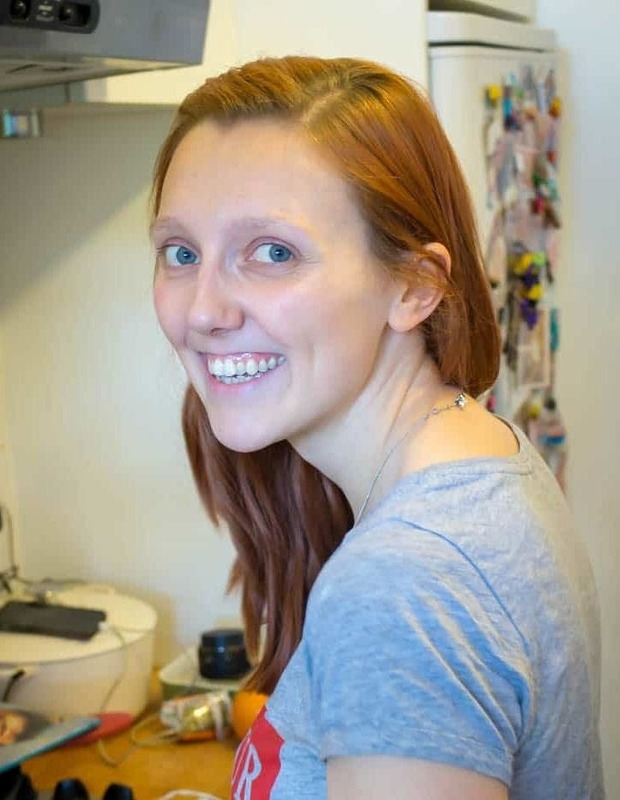 How long does it take to cook meat in the pressure cooker? That really depends on what meat you’re trying to cook. I’ve cooked chicken in the pressure cooker and I like to use the browning function first and then cook under pressure for 5 minutes and it comes out perfectly. Larger joints of meat can take longer but will still take much less than in the oven, about 45-60 minutes. 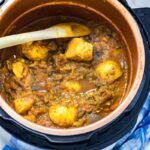 See below for some of my favourite meat recipes in the pressure cooker. 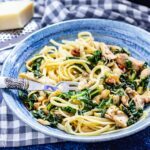 This creamy chicken pasta is ultimate comfort food. 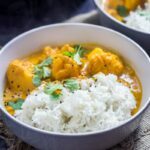 With just a few simple ingredients and a pressure cooker or instant pot you can have a filling dinner on the table even on the busiest of weeknights! 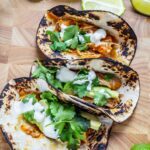 These chipotle chicken tacos are made so quick and easy by using a pressure cooker or instant pot. The chicken is cooked in a spicy tomato sauce then shredded before stuffing into the tacos with all your favourite toppings. 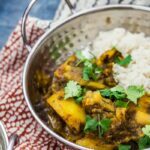 Saag aloo is one of my favourite take away dishes! 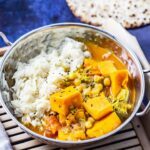 Now you can make your own version quickly and easily in a pressure cooker or instant pot so you can have this vegetarian dish any night of the week. 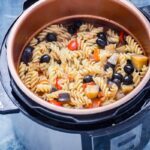 This pressure cooker pasta is so simple and is full of mediterranean flavour! Make it in an instant pot or electric pressure cooker and have dinner on the table in a matter of minutes. Serve with a good grating of parmesan for a delicious weeknight meal. 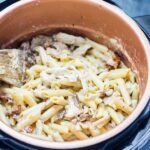 Chicken casserole is such good comfort food and with a pressure cooker or instant pot it can be ready in next to no time! It’s perfect served with pasta, mashed potatoes or anything else you fancy.